Mr. Richard Leonard Segres, Jr., "B.J. 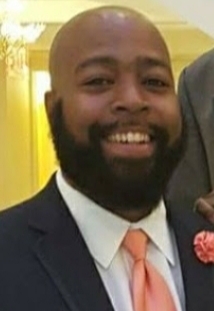 ", 36, husband of Mrs. Michele C. Segres, of Owings Mills, Md., passed away Friday, March 29, 2019. Mr. Segres was born in Union, S.C., on Aug. 27, 1982, a son of Maj. (Ret.) Richard L. "Buck" Segres and the late Perrie Smith Segres. The late Perrie Smith Segres is a native of Union, S.C. Survivors in addition to his wife and father are his sisters, Mrs. Shannon Segres Yorkman (Justin); and Denise Fulton; a brother, Eric Fulton (Stacie); a sister-in-law, LaShonda (Vern) Lawrence; nieces: Serenity Yorkman, ShaNiece Fulton, Norah Lawrence; nephews: Jonathan Fulton, Jayland Fulton,Lloyd Fulton, Tionne Fulton, Nicholas Lawrence, Noah Lawrence and Niam Lawrence; a host of uncles, aunts, cousins and friends (Shawnda Young). Funeral services will be held on Wednesday, April 3, 2019 at 4 p.m. at Bethany AME Church in Jonesville, S.C.
Lewis Funeral Home and Crematory has charge of the arrangements.